Tapering upward to a height of 118 feet, the curvilinear form of the Cathedral of Christ the Light became an immediate architectural landmark even before its completion. The glass, wood and concrete structure seats 1,350 guests and encompasses a volume of approximately 1.5 million cubic feet of space. 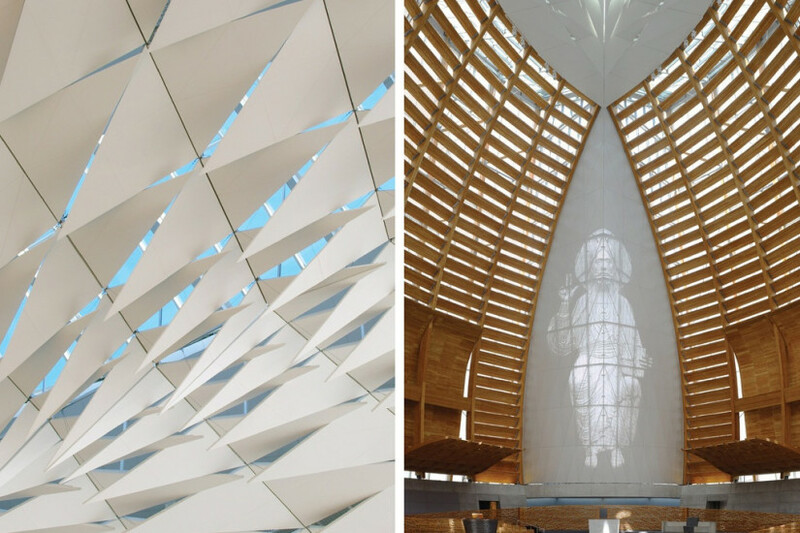 The client requested cathedral-like acoustics, and Shen Milsom & Wilke worked closely with the design team to meet the request without compromising speech intelligibility. We began by addressing reverberation, because the space demonstrated a high level for both speech and music. 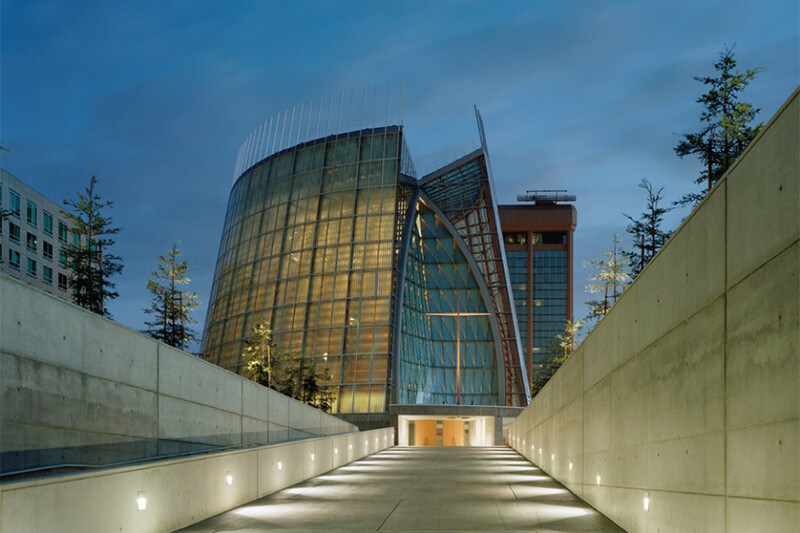 The project included many challenging features: a system of heavy, wooden louvers; an elliptical and concrete 15-foot reliquary wall; and an exterior skin of half-inch-thick laminated glass. We incorporated small loudspeakers to allow those in the presbytery to hear projection to the congregation. The design included a sound reinforcement system to amplify and direct sound energy to the congregational seating area, and separate amplification system supports baptistery functions at the rear of the cathedral. For special events, a rigging system allows a large-format screen and projection system to be lowered into place. Our design ensured optimal viewing by all occupants.